I admit it. I have a natural tendency to procrastinate. When I was a child, my father would say, “Hilda, you have the world’s biggest tomorrow.” Almost anything could (and sometimes can) divert me from what I “should” be doing—another game of solitaire on the computer, re-checking e-mail, continuing to read after I finish lunch. On the other hand, I am fairly disciplined. One way I manage my tendency toward procrastination was to pack a lot into each day. I usually can’t put much off until tomorrow—it’s already heavily booked. Producing School Librarian’s Workshop is ongoing with very little in the way of time off. In addition, I do workshops and presentations and have ALA and AASL committee responsibilities. My days are wonderfully full. My to-do list is a constant reminder of what needs to get done – what I want to get done. 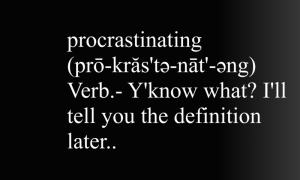 But the paradox is, I am still a procrastinator. Which I’ve decided is OK. It’s part of who I am. I do meet all my deadlines, and I have learned there is a time and place for procrastination. Sometimes I don’t have an idea for a department in School Librarian’s Workshop such as what to do for a Puzzler. Other times I know what the topic will be but haven’t come up with what students should do with it to produce the most critical thinking and the deepest learning. Scrolling through Facebook or other distraction can sometimes lead to the ah-ha I’ve been needing. Creativity doesn’t work well on a time clock. Stepping away and doing something mindless, seems to free my brain (hmm, is that why they games are called mindless?). Random thoughts related to what I put aside flitter through my head. When I get back to writing, the ideas flow. So there is a positive side to procrastinating. Now if I can only get better at setting a time limit on how long I play solitaire or Bejeweled. 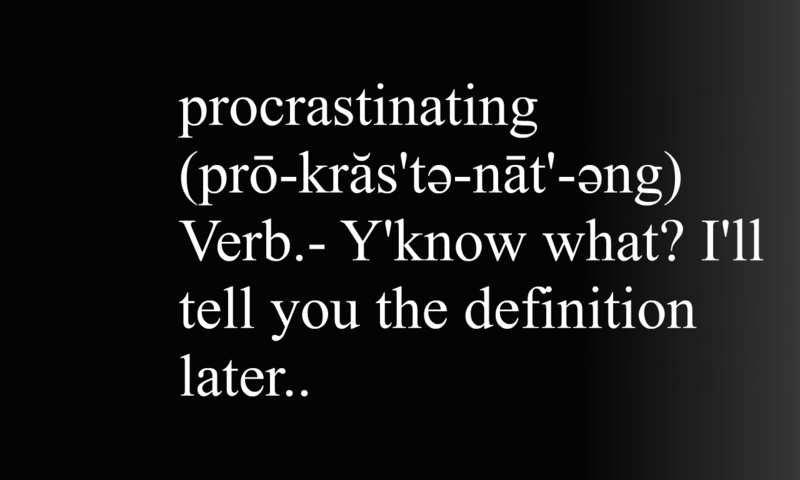 Are you a procrastinator too? What distracts you? Are your breaks from work positive or negative? Or a combination of both?